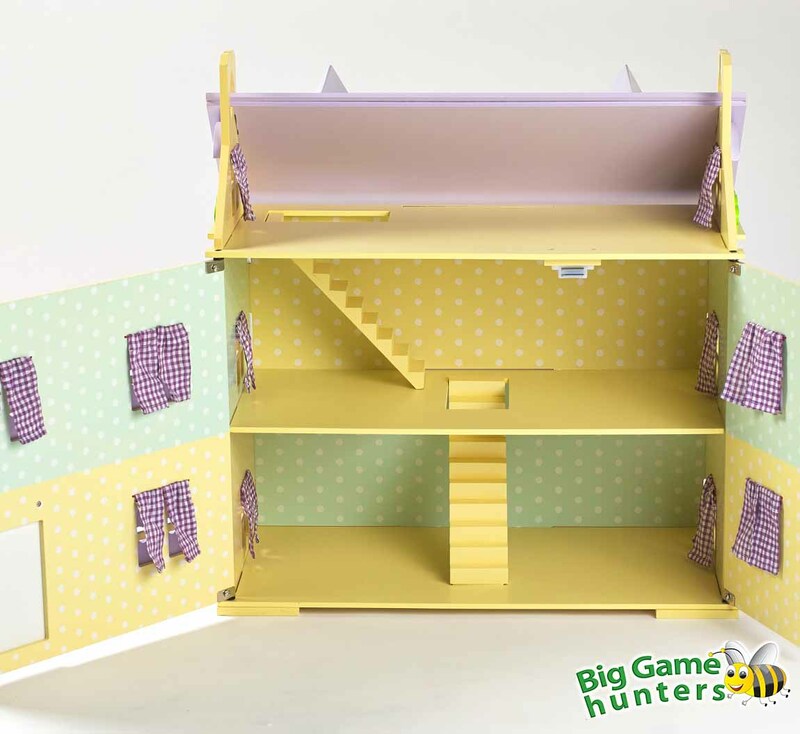 Berrybee Cottage is a beautiful wooden dolls house, painted throughout with three large open-plan floors and fabric curtains which hang from every window and are made with a pretty purple chequered fabric. The curtains open and close, and hang from durable elastic rails which are already secured into place. The hardwearing painted finish is also wipe-clean so will continue to look beautiful for years to come, and the roof panels can either be removed completely or the front roof panel can be placed on the back for easy access to the attic space. 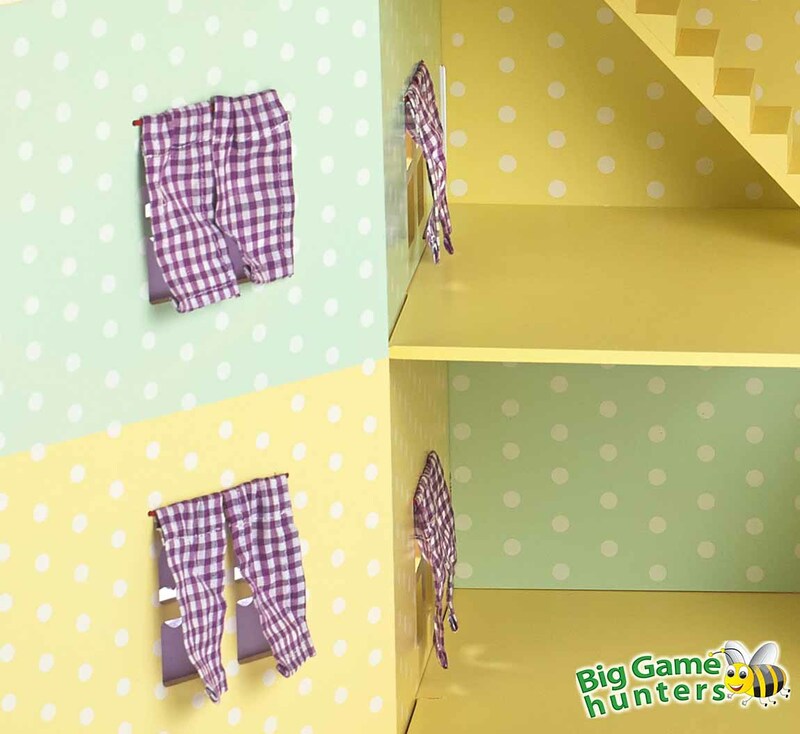 There are no hinges which makes this perfectly safe and easy to use for little fingers. 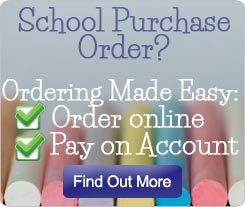 Both large front panels have discreet magnetic catches and open up fully for easy access to all floors, and swivel on thick enclosed wooden dowels which are already fixed into place, offering durability and safety for small fingers. 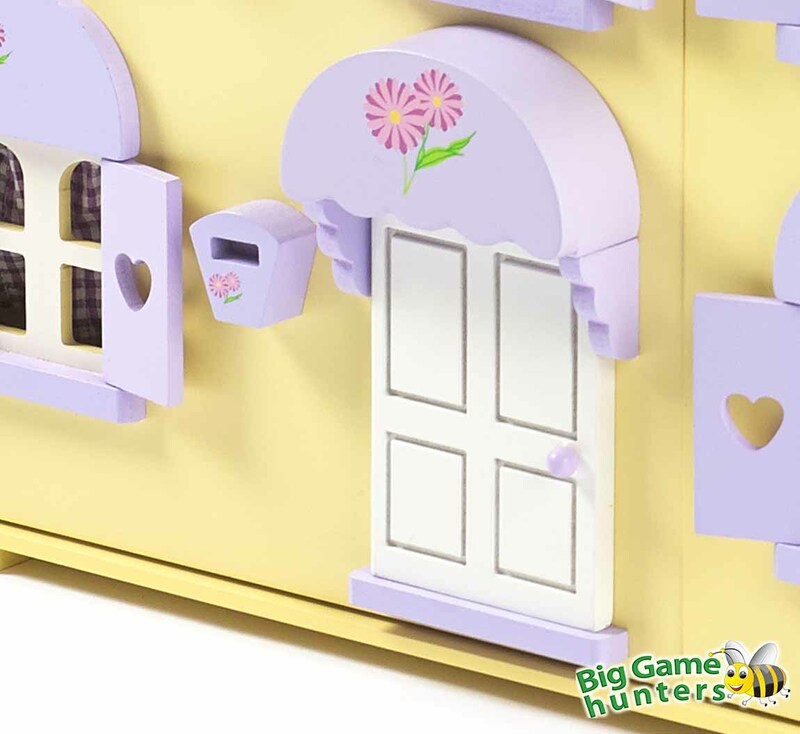 Lots of sweet little details will inspire creative imaginative play, including opening window shutters, two staircases, front door for the dolls and even a letter box! 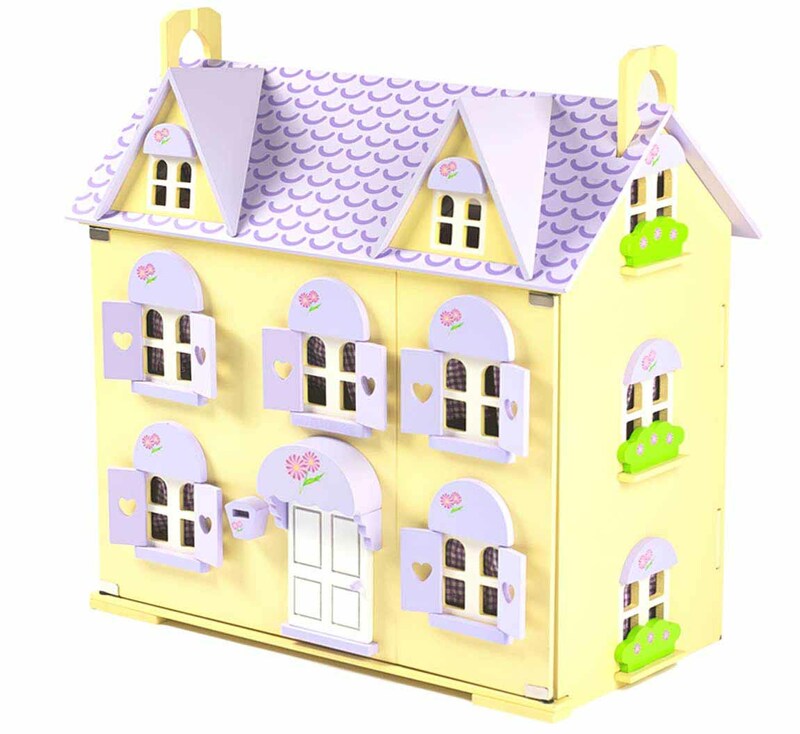 The wonderful size of Berrybee Cottage dolls house is perfect for multiple children to play together and a collection of accessories can be built over time. Assembly is so quick and simple; simply slots together with very few pieces. 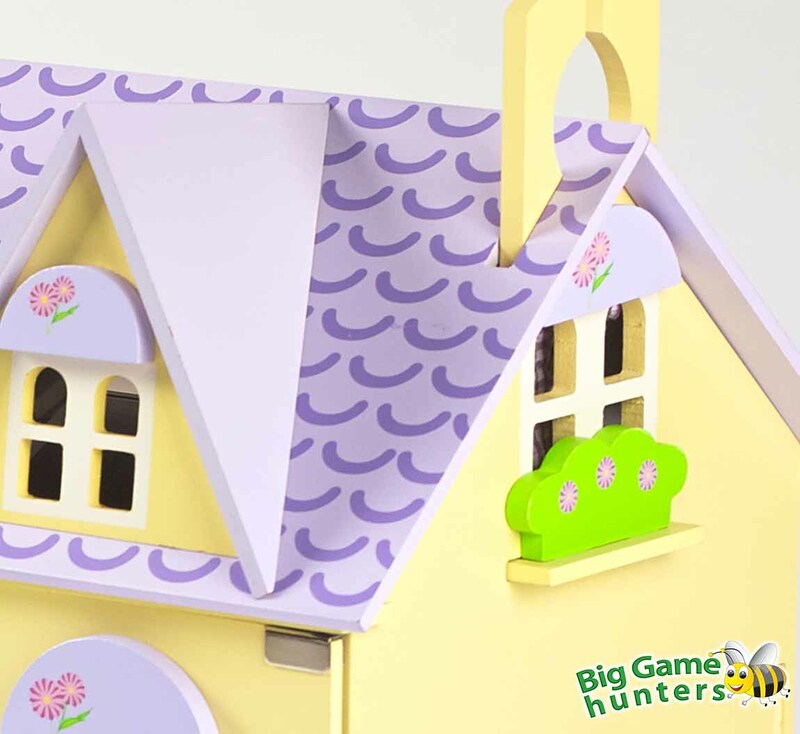 The structure is secured by slotting the flowers into the flower boxes on the sides, which are connected to the floor panels, creating a very sturdy dolls house. 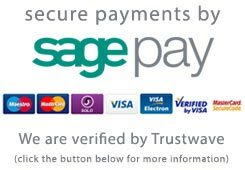 Includes beautiful lilac fabric curtains which open and close, and hang from durable string rails already secured in place. 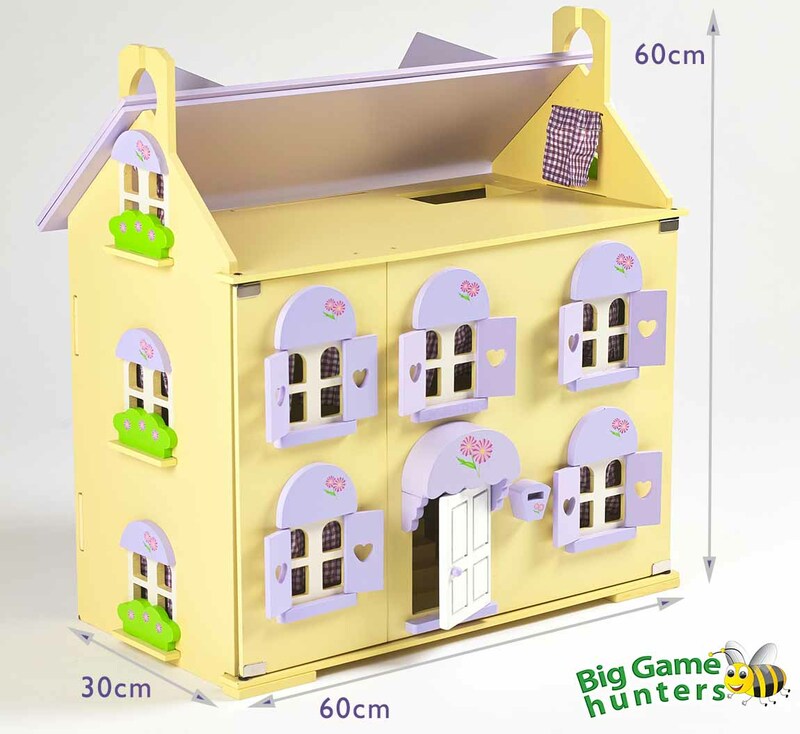 Quick and simple to put together – just slots together for a strong and sturdy dolls house, offering long lasting play. Roof panels can be removed completely or the front roof can be placed on the back for easy access to the attic. 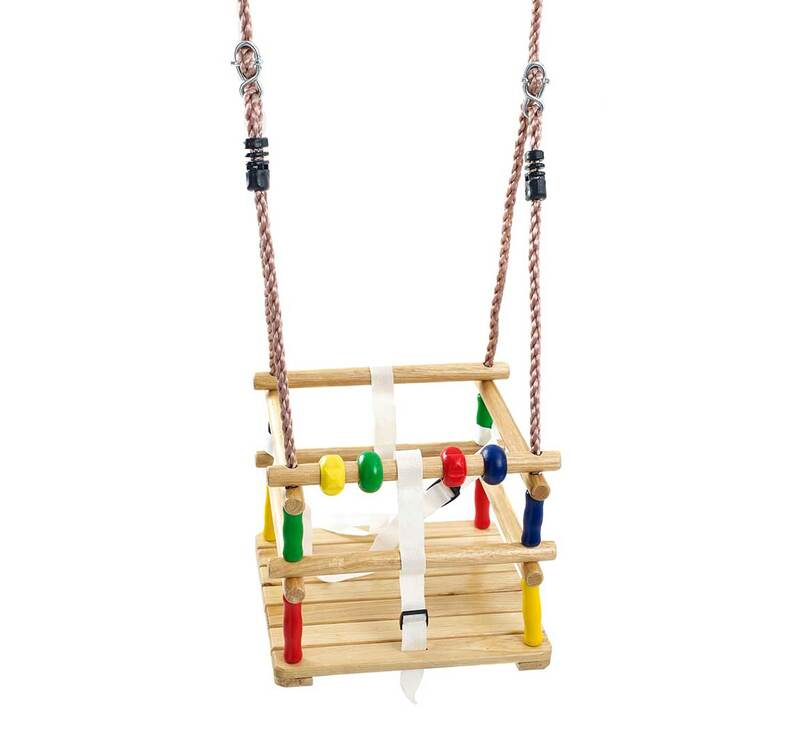 Thick wooden structure provides strength and durability – perfect for little ones developing coordination. Beautifully painted inside and out with a hardwearing, wipe-clean finish. The dormer windows simply fix onto the attic with two small screws, and there’s even a small Allen key included to make this quick and easy too!